The reviews are in! Earlier this week, critics began covering the musical adaptation of “The Hunchback of Notre Dame” that is currently being produced at the La Jolla Playhouse. With music and lyrics by Alan Menken and Stephen Schwartz (I mean, seriously. Could there really be a better duo? ), the show seems like it would be a surefire hit, right? Well, maybe not so much. The reviews are all very mixed. Some say the show is visually stunning, but the characters lack depth. Others say that the show had a combination of wonderful actors, enchanting new music, and a set that’s a feast for the eyes—a classic Disney musical. 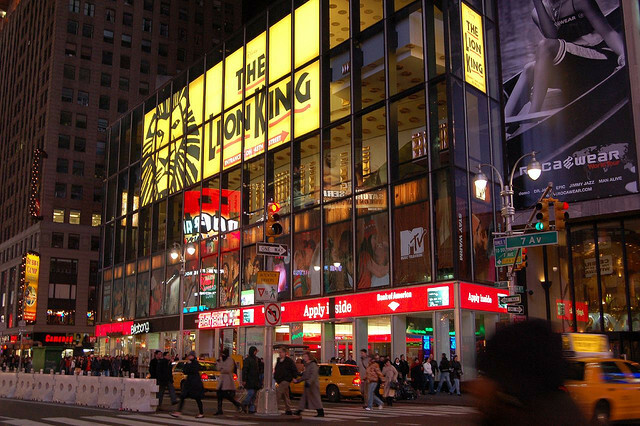 The poor reviews seem pretty contradictory when compared to the success of other Disney musicals, such as “The Lion King” which just recently celebrated its 17th year on Broadway just a few weeks ago. The show has played over 6,700 performances and has a touring production, not to mention that the show has become the highest grossing entertainment property of all time at a worldwide gross of $6.2 billion. Talk about a decent run. This leads us all to wonder: why are some Disney musicals so successful, while others are others total flops? Disney is, after all, celebrating 20 years on Broadway this year, having opened “Beauty and the Beast” in 1994. The show went on to play 5,461 performances (that’s 13 years’ worth of shows, if you didn’t want to do the math). There is still a touring production, and it remains the eighth-longest running Broadway show in history. “Mary Poppins” is the runner up, having played for over six years at the New Amsterdam theatre after a three year run in London’s West End. “Newsies,” which was originally scheduled for a limited run in 2012, just closed in August after running for over two years (I’m still in post-Newsie depression). And “Aladdin” continues to light up the stage as the third highest-grossing Broadway musical this week. Disney’s even implemented a new ticket policy for “The Lion King” and “Aladdin,” where, for a small fee, patrons can exchange their purchased tickets for any other performance until up to two hours before their scheduled one. People are filing into these theaters, and it doesn’t seem like that is going to change any time soon. However, some Disney musicals just haven’t had the same life spans as these ones. “The Little Mermaid” opened in 2008 and only played 685 performances before closing in 2009. “Tarzan” only played for 486. Disney quite obviously has a knack for marketing. They have an absolutely gigantic fan base, and their shows are often the only ones on Broadway that are suitable for young children. It’s a win-win for parents and the kids. Along with this, though, I really do think a majority of Disney’s success on Broadway is due to the work of Alan Menken. Although “The Little Mermaid” didn’t fare very well, he is the common denominator in most other high grossing Broadway musicals. “Beauty and the Beast” is still making its rounds, “Newsies” got fantastic reviews, all throughout its run, and “Aladdin” has been chart topping ever since it opened in March. It cannot be denied that Menken is a musical genius. We may be able to attribute the lack of success of shows like “The Little Mermaid” and “Tarzan” to a lack of well-written, new material. The additional music that Phil Collins wrote for “Tarzan” leaves something to be desired, and the same goes for Menken’s new contributions to “Mermaid.” Conversely, Menken was praised for his new material for “Newsies,” for which he won the Tony for Best Original Score and the Drama Desk for Outstanding Music. Although the technical elements in Disney’s musicals are stunning, there is nothing that hurts a show like bad writing. Sometimes, Disney should probably leave their films in their animated glory. It’s understandable that “Hunchback” may need some more work. It is only in its first round of regional productions, having been scheduled to appear next at PaperMill Playhouse in New Jersey. Targets are set on Broadway, but only time will tell if the show has what it takes to rank among the best. And don’t even get me started on “Frozen“—we should probably leave that one on the backburner for a while, though. That one may be a stretch.